The consumer products giants Unilever and Procter & Gamble (P&G) have been fined 315m euros (£280m, $456m) for fixing washing powder prices in eight European countries. It follows a three-year investigation by the European Commission following a tip-off by the German company, Henkel. Unilever sells Omo and Surf, P&G makes Tide, and Henkel sells Persil in certain European countries. The fines were discounted by 10% after the two admitted running a cartel. Unilever was fined 104m euros and P&G was fined 211.2m euros. Henkel was not fined in return for providing the tip-off. The Commission called the investigation "Purity". The EU Competition Commissioner Joaquin Almunia said in a statement: "By acknowledging their participation in the cartel, the companies enabled the Commission to swiftly conclude its investigation." The cartel operated in Belgium, France, Germany, Greece, Italy, Portugal, Spain and the Netherlands between 2002 to 2005, the regulator said. P&G, the world's largest consumer products group, owns the Tide, Gain and Era brands of washing powder while the Anglo-Dutch group Unilever makes detergent products under the brand names Omo and Surf. Henkel owns the Persil brand in most of Europe, while Unilever owns it in Britain, Ireland and France. The EU watchdog raided the three companies in June 2008 on suspicion of price fixing, and also sought information from the US-based household products firm Sara Lee. 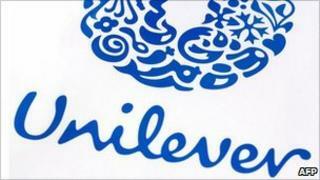 Unilever has already set aside an undisclosed sum to cover any fine.